Fruitbody pleurotoid, stem short, eccentric, dark brown to blackish brown, velvety. Cap up to 12 cm, cinnamon to brown, margin inrolled. Flesh yellowish. 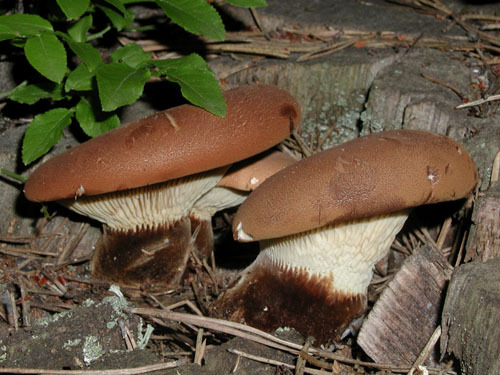 Gills initially cream or yellowish then brownish. Taste acrid. Spores 5–6 × 4–4.5 μm. Habitat. Solitary or in small groups on roots, stumps or trunks of coniferous trees.